It is hard to believe that hurricane season begins in just two months. During a hurricane conference being held in San Antonio this year, Colorado State University issued its annual preliminary forecast for how many hurricanes are expected to strike the United States this year. Hurricane season runs from June 1 to Nov. 30 and in that time period it is predicted 13 named storms will develop in the Atlantic hurricane region. That is slight above the average of 12.1 named storms, according to Philip Klotzbach, research scientist of Tropical Meteorology Project of Colorado State University. 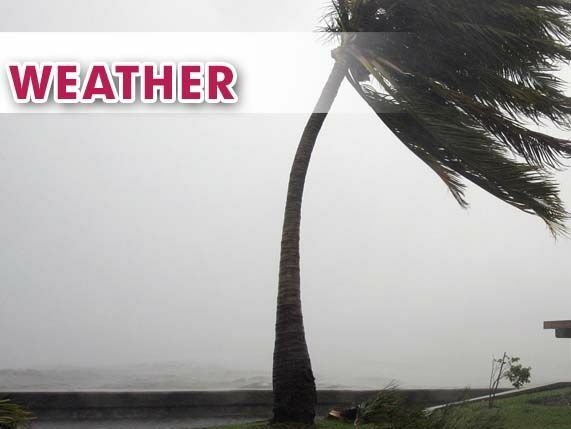 The forecast calls for five hurricanes and two major hurricanes, meaning storms that are classified as a category three or greater with winds in excess of 111 mph. Klotzbach says the primary reason for a slightly below average of forecasted storms is the anticipation that El Niño will continue to be weak. As for the Gulf of Mexico area, Klotzbach said the gulf is warm enough every year to support hurricanes.